THE STORY: Gucci's loafers have achieved iconic status over the years. Combining the comfort of a moccasin with a formality, Gucci loafers have long been the footwear of choice for that group of international travellers once known as the "jet set". Not a surprise that the world's most stylish gentlemen, from politicians to fashion bloggers have been wearing them for half a century. The originals were based on a North American moccasin style and were handmade to be as soft and lightweight but very hardware and durable at the same time. Their comfort and practicality arrived at a time when casual American and Italian style was challenging traditional British formality. 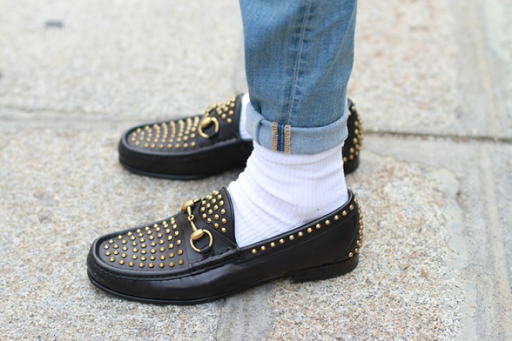 Gucci loafers represent easygoing lifestyle with sporty elegance. 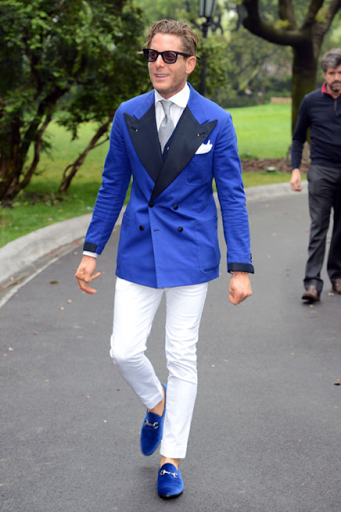 The horsebit detail on the loafers is a key element in Gucci's history. The equestrian-derived hardware was originally inspired by the time, just after WWI, that Mr Guccio Gucci worked in London's famous Savoy hotel. While observing the comings and goings of the English aristocracy, he noted how important horses, racing and polo were to this glamorous set. When he launched his own leather goods company he took this iconic element into the Gucci brand. Gucci's creative directors play with the design each season, updating the shape, materials and details, but the shoe's essential beauty and practicality remain the same". Over the years the design and fortunes of the shoe has undergone many changes. The distinctive almond shaped toe has sometimes been square instead of round and even the heel heights have gone up and down. 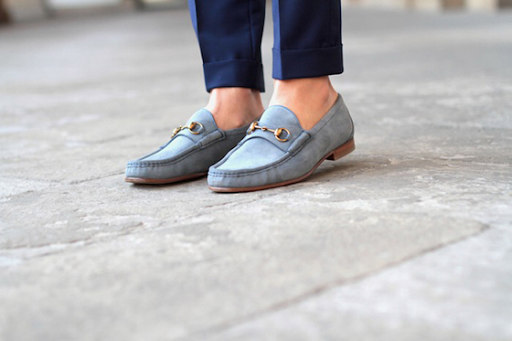 WHERE AND HOW: All the artisans involved in making these loafers are located in a single workshop in Florence. They wear traditional leather aprons over white lab coats (an outfit that symbolises Gucci's blend of the past with the present) and, suitably attired, use a personalised tool kit to hand-make each shoe. After nailing the upper of the shoe to a last, the artisan sews the moccasin upper to the sole, before handing over to a colouring specialist, who hand-stains the leather to give the hide a rich tone. Since the leather is stained entirely by hand, giving it a lightly-worn vintage look, the finish of each shoe is unique. The final step sees the leather lining, and the metal and bamboo horsebit hardware attached by hand, before the shoes are wrapped and boxed.